It has been a memorable twenty-four hours in Latvia with a fine selection of sights and sounds to feed future memories. One of the undoubted highlights must be a truly spectacular pyrotechnic display on the banks of the River Daugava in central Rīga. 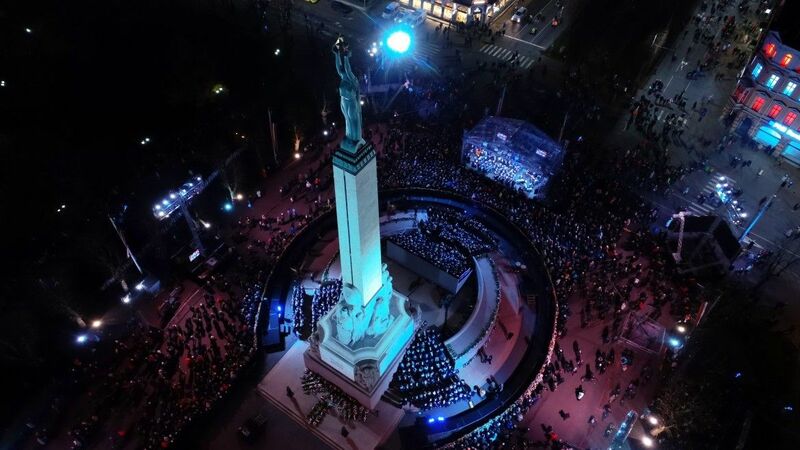 According to Rīga city council estimates, around 100,000 people are believed to have been at the fireworks show, and while the small screen inevitably diminishes the full sensory experience, LTV's pictures still provide the next best thing to actually being there among the gasping crowd. We hope you enjoy it! Though November 18 has passed, the celebrations continue. November 19 is a public holiday and the official program of #LV100 events extends int the future for days, weeks, months and in some cases even years.